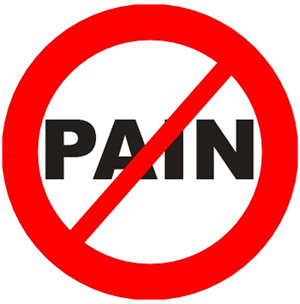 « Are You Looking For Pain Relief? I dreaded Tuesday night! It was the night the LST staff committed to start telephoning our alumni to ask them to donate during our annual Harvest Call drive. I don’t really like talking on phones, I don’t like calling people I don’t really know, and I don’t like talking about money with people I didn’t want to call in the first place! Most of you know how I feel! I dialed 22 numbers in about an hour: nine were bad, six were not at home, and I had seven WONDERFUL conversations with people who had done Let’s Start Talking Projects as long as ten years ago. I had to be pried away from my phone at the end of the session. I’m telling you this because I believe it bears on our conversation about the distress many Christians feel because they can’t bring themselves to share their faith actively as they really want to. Personal evangelism and fund-raising belong to the same group of bad words. In the last blog, I listed a number of rationalizations for not personally sharing your faith, so now I’d like to offer you some practical suggestions about how to avoid those excuses and allow yourself to do what you really want to do! You must make a decision about Jesus. If you don’t really feel like other people need to hear the Gospel story and that they must decide to put on Christ in order to participate in His redemption of the world, then consider yourself off the hook—you don’t have anything to say to anyone that will make a difference. If, however, you do believe that Jesus is the resurrected Son of God and that only through Him does anyone have the promise of eternal salvation, then you are back on the hook—but you are more highly motivated. So decide! You will feel better instantly. Overcome your fears by focusing on others. No one wants to be embarrassed or rejected or belittled or even awkward. Think about the times when you were willing to take big personal risks, however, for someone you love. If your child needs help, what door would you not knock on regardless of awkwardness or possibility of rejection? If your spouse had an emergency, what personal risk would you not take to ensure his/her safety? Love conquers fear—it’s a cliché, I know, but it is true. Don’t assume you know what others think or feel. If you assume that because someone does not go to church on Sunday that they are not a believer, you could be very wrong. If someone told you three years ago that they weren’t interested in knowing about your faith, things could have happened to open them up. If people know that you love them, they will not be offended or react badly to almost anything you might say to them in love—even if they disagree. Start with people you are around! A friend of mine just decided to start speaking to the people she met each morning during her walk around her neighborhood. Then she started praying for the people she met. Next she decided to invite them to join her in a conversational Bible study in her home. Another friend just decided to invite her colleagues at the surgery center where she works to join her in a conversational Bible study during their lunch hour. Make a plan for moving from casual conversation to spiritual. This is very important—and where many starting efforts fail! Starting a small group Bible study is an easy way because the purpose for your invitation is specific. One can learn, however, how to listen for opportunities to open faith conversations, even in the most informal settings. Asking someone who has shared a problem or concern with you if they would mind if you included them in your prayers. This is a good, honest way to start. You can offer to pray for almost anyone, including people of non-Christian faiths. I have never heard of anyone refusing such a gracious offer. And it might lead to a faith conversation. Just start. That’s what I decided to do on Tuesday during the fund-raising call out! Even just dialing the first number made me antsy. Just like you in your first attempt at a faith conversation, I was glad when it turned out to be a bad number. But I know that after the first genuine conversation you experience with someone who is glad that you talked with them about Jesus, you will be exhilarated and will experience the joy of sharing Jesus. Of the seven phone conversations I had on Tuesday night, six promised to make a donation and only one said they could not! Almost no one becomes a Christian without someone they know (a family member or friend) telling them their story. Talk to the people in your class at church who became followers as adults and my guess is that virtually ALL of them will say that they came to Christ because someone who loved them took the time to talk to them. If you have the fire in your bones (Jeremiah 20:9), then give up trying to hold it in; you can’t. God is too good and you love Him too much! help on the way,but even small, trust God that He multiplies! What Should A Church That Is Dying Do? The Story of Joseph's Bones, Or Does It Make A Difference Where You Are Buried?